❤ Gifts for ALL your Valentines! Basics are important, but what can make the difference between just getting by, and surviving in comfort, are the little things. Small, useful luxuries that are truly personal can make a huge difference when you’re living with no water, power or heat. Give your sweeties a ready-kit that’s made just for them! And who says safety basics have to be blah?? Valentine shades of hot pink, lipstick red, and luscious lilac are not only fun but also easy to spot when you’re in a hurry. 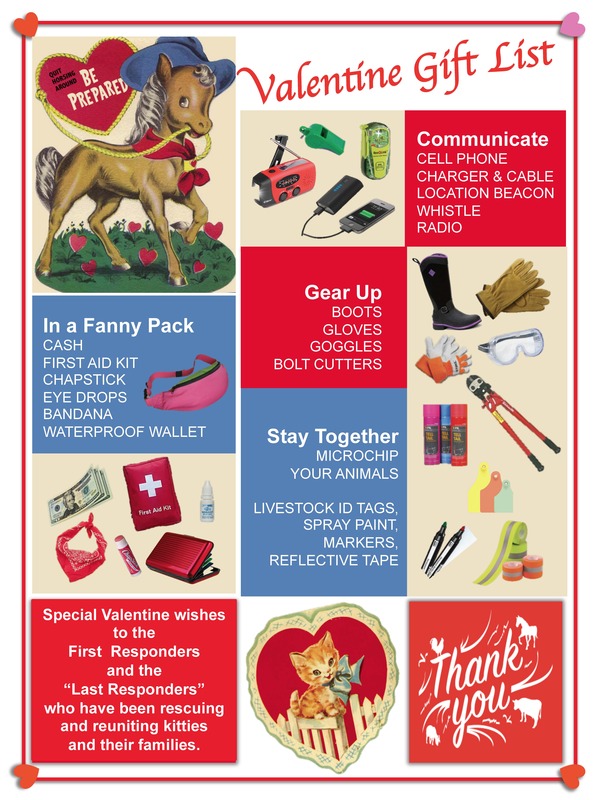 What better way to spread the love this Valentines Day than to give gifts of safety!